Christin loves to be in motion. 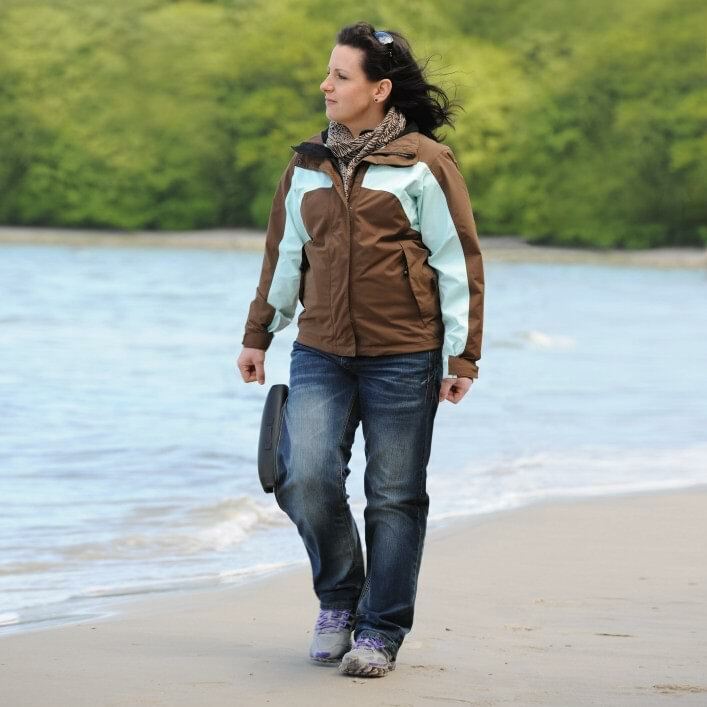 She depended on a wheelchair for four years – with the C-Brace® orthotronic mobility system, she can finally walk down forest trails again with her dog and now wants to travel frequently. Jana is a competitive athlete. She tore a lateral ligament playing volleyball and had to take a break from sport. Now she is getting her foot used to moving again and wears the Malleo TriStep. Judith as a former competitive athlete is accustomed to exercise and loves to participate in sports. A diagnosis of "anterior knee pain" ended her career as a roller figure skater. 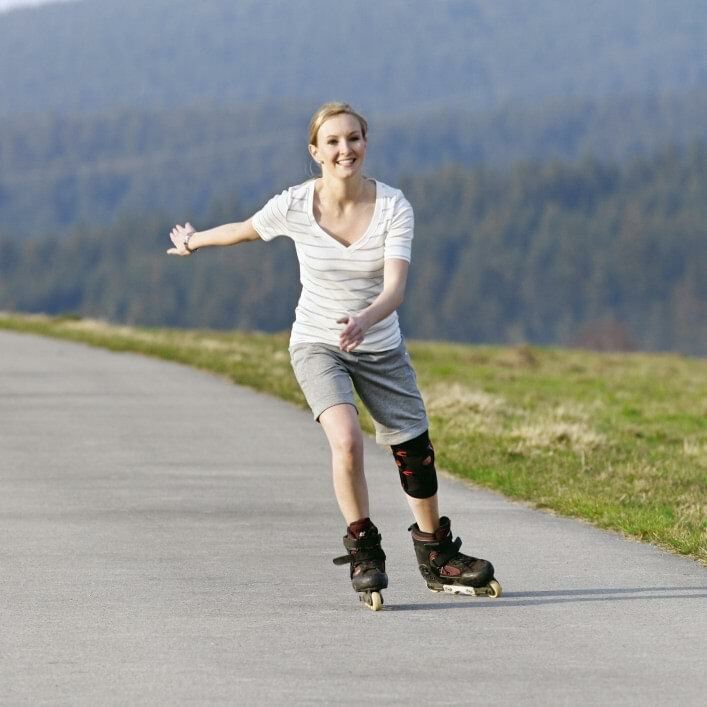 But with the Patella Pro patella realignment orthosis, she can finally get out into nature again and enjoy riding a bike and inline skating. Little time, lots of sport – that sums up Henning's everyday life in a few words. This is not a matter of course, because he has been dependent on an orthosis since he was in a traffic accident. Today he wears the WalkOn Reaction dorsiflexion assist orthosis. Climbing was always Julia's passion. But when she fell, she injured her cruciate ligament. 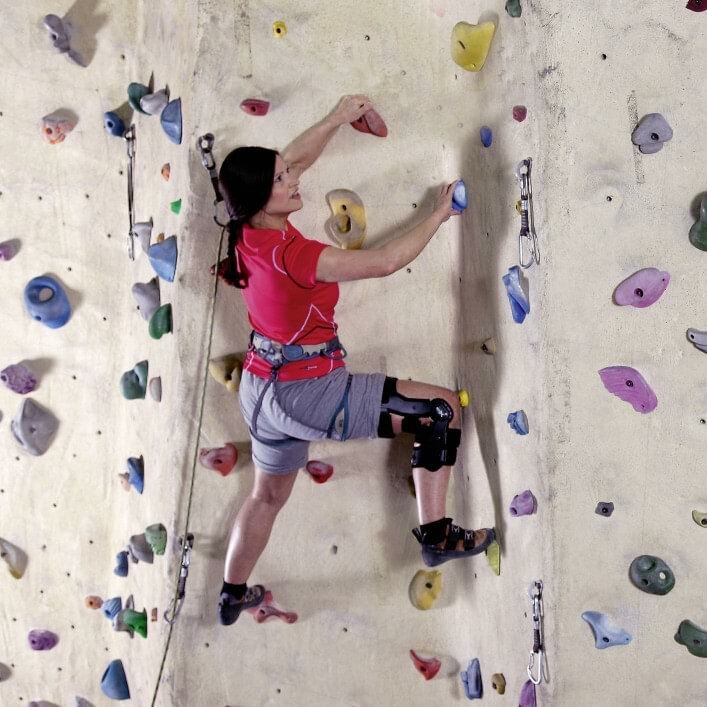 One year after the accident, she is back to the climbing wall and wears the Xeleton rigid-frame knee orthosis.